Okay, get your mind out of the gutter there. This is a genuine recipe. Well, except for the aphrodisiacal part—I invented that. But artichoke balls are a favorite dish in my home town of New Orleans. Like everything in the Big Easy, they combine ethnic cuisine with that uniquely New Orleans spin. My Creole husband loves them! But New Orleans isn’t called the Big Easy for nothing. 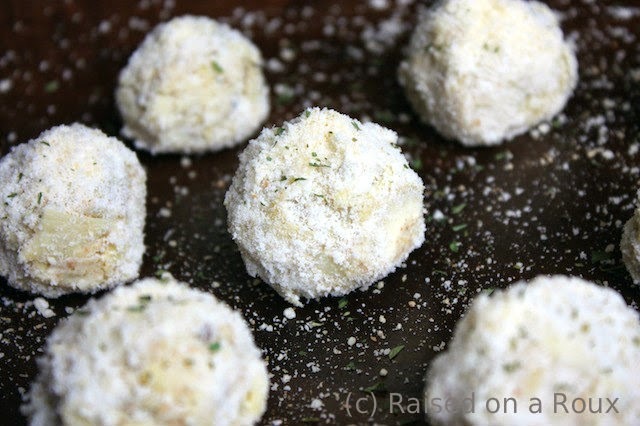 Artichoke balls are a snap to make with a food processor. You can do it without one (and I have), by finely mincing all the ingredients, but I’m lazy. Drain all the artichoke hearts and squeeze out as much liquid as possible. Process the pulp long enough to get a coarse meal. Add all the other ingredients and process until everything is mixed. Then comes the fun part (especially if you like to play with your food). Since this is a dish served cold, you’re done preparing it, except for shaping it into an . . . er . . . aphrodisiacal shape, whatever that might be. For parties, I usually roll it into balls, stack them up in a tree form along with black and green olives or pimentos, something festive. But in private . . . well, use your imagination. The mixture is very malleable, but will hold any shape well. And it’s pure ambrosia to eat. Plain, bookish Elinor Bancroft is traveling with her aunt and young cousins to spend the holidays with her father, when a carriage mishap leaves the party stranded at the remote manor of Lord Martin Thorne. Also known as “the Black Baron,” he has no patience for invalids or spoiled heiresses, and children are usually terrified of him. But he gives them refuge during the snowstorm, and to keep the children out of his way Elinor helps them turn the sparse manor into a warm holiday haven for Christmas. Lord Thorne is none too happy about playing host to four children and two women at his least favorite time of the year. But sparks fly whenever he and Elinor are together, and pretty soon they both realize that Christmas takes on a whole new glow when you share it with the one you love. About that plantation business—living in the boonies of Thailand afforded Sabrina endless hours to read Jane Austen novels and other classics voraciously. Not surprisingly, back in the States, she went on to earn a doctorate in English literature from Tulane University—and a craving for Cajun food. Caffeine addict, Third Culture Kid, chocoholic, and popular novelist with more than six million books in print, Jeffries defies labels. Her biting humor and simultaneous warmth endear her to her 10,000 Facebook fans, Pinterest followers and loyal Goddess blog readers. 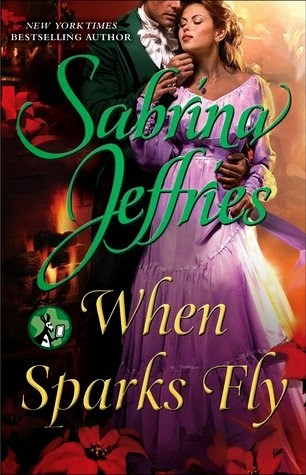 At home in front of a crowd—any crowd (no really, just hand over the microphone and get ready for some fun)—Jeffries is a sought-after speaker, as evidenced by her 2010 gig as emcee for the National Romance Writers of America’s 30th Anniversary Awards Ceremony. While Sabrina treks through remote locales in the name of research and rubs elbows in the big cities with other industry professionals, she says her favorite destination is home. 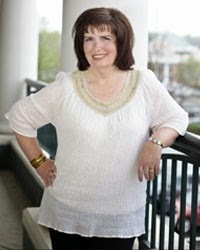 She lives in Cary, North Carolina, with her two best guys—husband, Rene, and adult son, Nick, who has inspired her to actively champion the cause of autistic children. Soooos! We have a huge grand prize drawing going on during AFTH2014! 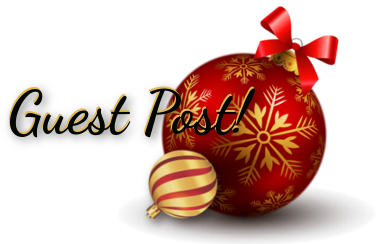 Plus Sabrina is offering up some excellent goodies with THIS post--->A Sabrina Jeffries swag bag with her Christmas hardcover, Christmas anthology, and other little Christmas goodies. 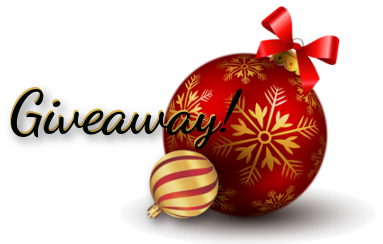 Just leave Sabrina a comment then jump over to THIS page to enter the Grand Prize Giveaway Widget and down below for this post giveaway. Woots! What about yall? What's YOUR favorite holiday dish?